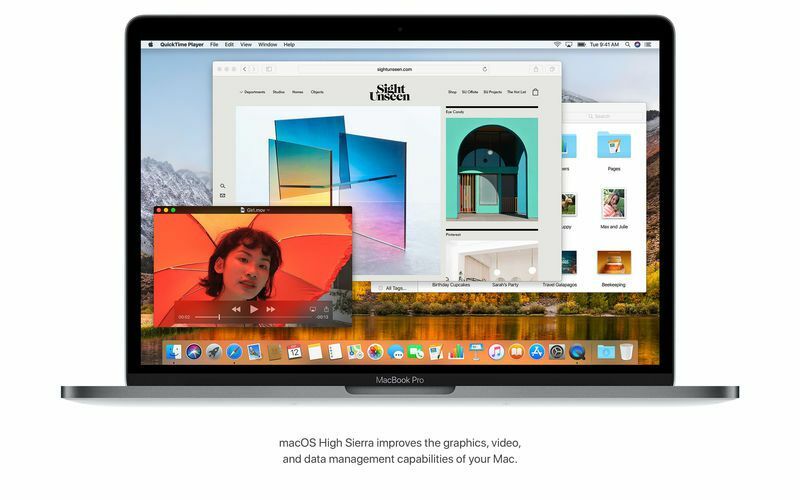 New technologies at the heart of the system make your Mac more reliable, capable, and responsive � and lay the foundation for future innovations. 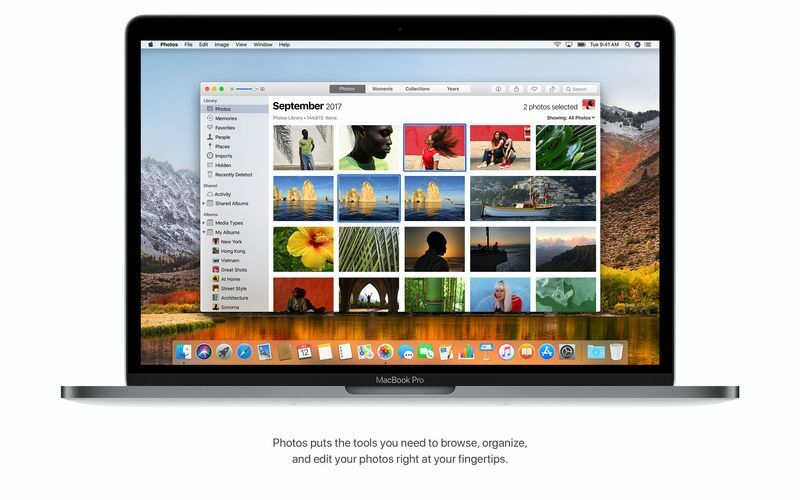 macOS High Sierra also refines the features and apps you use every day. 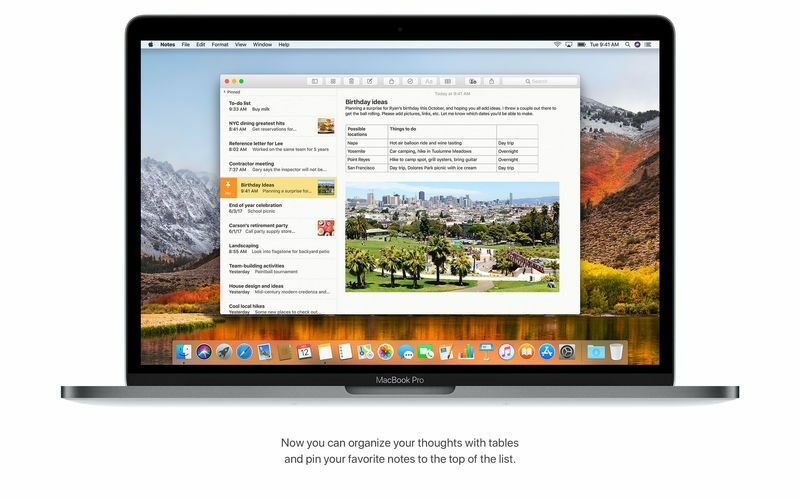 It�s macOS at its highest level yet. Make short videos from your Live Photos using new Loop and Bounce effects. Easily locate and organize your content with the new sidebar. Conveniently access all of your editing tools in the redesigned Edit View. Finetune color and contrast in your photos with new Curves and Selective Color tools. Access thirdparty apps directly from Photos and save the edited images back to your Photos library. Rediscover images from your library with new Memories themes including pets, weddings, outdoor activities, and more. Create printed photo products and more using new thirdparty project extensions. Stop web video with audio from playing automatically. Prevent websites and ad networks from tracking your browsing with Intelligent Tracking Prevention. Customize your browsing experience with new persite settings for Reader, page zoom, content blockers, and more. Instantly find the messages most relevant to your search using Top Hits. Use Split View when composing new email in full screen. Save space on your Mac with compressed messages. 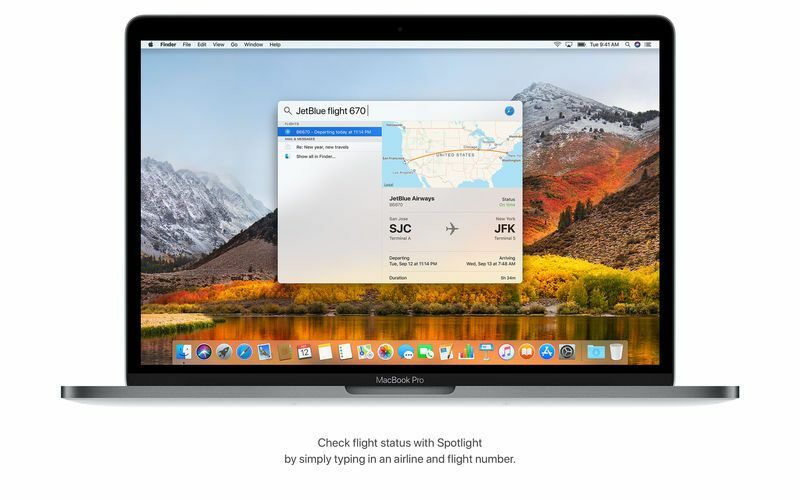 Check the status of a flight by typing the airline and flight number in the Spotlight search field. Organize your information using configurable tables. Pin your favorite notes so they�re always at the top of the list. Take a Live Photo during a video call to any supported Mac, iPhone, or iPad. Hear more variations in intonation, emphasis, and tempo when Siri responds to you. Enjoy personalized music recommendations from Siri when you listen to Apple Music. Copy and paste files between your Macs using standard copy and paste commands. Share a single iCloud storage plan with your family and keep everyone�s data backed up and safely stored. Set up your family with a few clicks and add capabilities when needed. Share and work on any file in iCloud Drive with other people so it is always be up to date with the latest edits. Update to a new file system architecture designed for allflash Macs. Experience greater responsiveness when performing common tasks like duplicating a file and finding the size of a folder. Enjoy faster and more reliable backups. Protect your entire drive with builtin native encryption for greater security. Create and watch highresolution video with High Efficiency Video Coding (HEVC), which uses up to 40 percent less space without sacrificing quality. 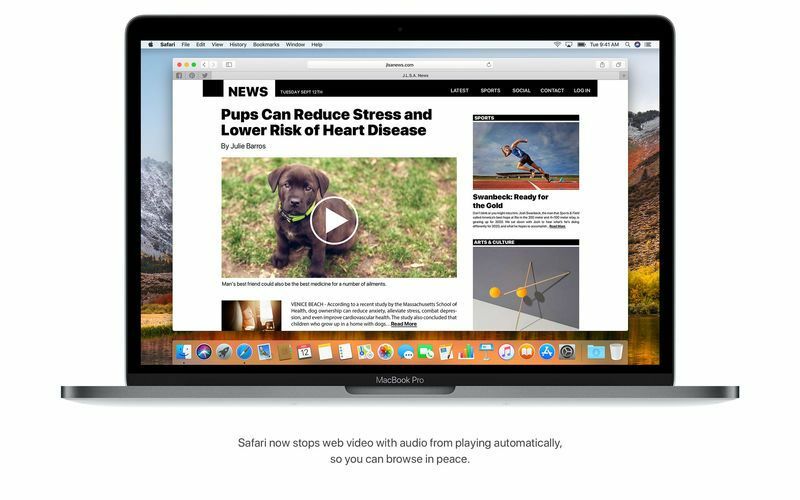 Get the most out of the graphics capabilities of your Mac with the new and improved version of Metal. Discover immersive tools for content creation with support for virtual reality. Build stateoftheart apps with features that accelerate common machine learning functions. 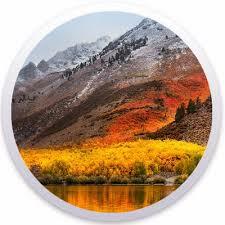 The macOS High Sierra 10.13.6 update adds AirPlay 2 multi-room audio support for iTunes and improves the stability and security of your Mac. All times are GMT-8. This page was generated at 01:36 AM.